Leaders in the field of team and leadership development know the difference between a marginal leader and a great leader is often boiled down to one thing: Emotional Intelligence (EQ). Most have heard of IQ and too many people believe that a leader with a high IQ is what's going to save your team. Not even close. What is the difference between IQ and EQ? 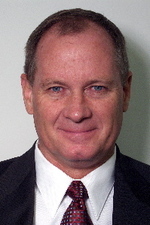 Dr. Haydn Hasty is President of MindSpring Consulting and is an expert in the area of Emotional Intelligence and teamwork. I've seen Dr Hasty in action. He's a gifted trainer who can transform an individual or a team in a matter of moments. In this audio interview you'll hear Dr. Hasty describe how he uses an EQ assessment when working with a team. Dr. Hasty has just published a fantastic 8 CD training set entitled "Mind, Intention, and Outcomes." CLICK HERE to learn more.